Hello, and thanks for reading our first recruiting blog! 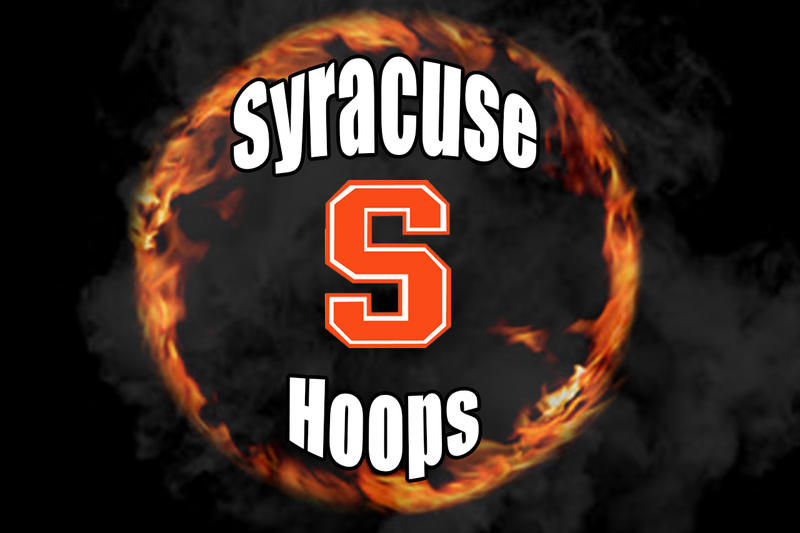 This blog is intended to go in-depth solely on Syracuse Basketball Recruiting and commits that are already on the roster. We’ll have more of these in the future to provide everyone the latest on SU recruiting. Be sure to follow us on Instagram @Syracuse.Hoops and give us feedback on how this recruiting blog goes! Enjoy and Go Orange! Oshae Brissett is one of the most underrated combo forwards in the 2017 recruiting class. He recently just finished 48th in the final Top 247 Rankings for 247sports. That shows talent. ESPN doesn’t have him listed because they don’t do post-graduate players, like Brissett. Brissett is 6’6’’/195. He’s a potent shooter with good range, but he’s even better on the glass. He one had a 29 rebound game to go along with 18 points. That shows how hard he really wants to do well, and that is very welcome at ‘Cuse with that mentality. With the hard work, he’ll be able to step right into big-time minutes alongside SF Matt Moyer. A Jordan Tucker commitment would shake up the rotation though. Meet Bourama Sidibe- the 15th overall center by ESPN while barely missing the top 100. He’s a true post-player, with experienced low block skills. Syracuse needs more of that to go along with Taurean Thompson, who’s also very skilled on the low block. Sidibe’s production would help take take the pressure off of Paschal Chukwu. Chukwu is returning from surgery on his eye that cost him the majority of last season. Sidibe should be one of the roll players on Syracuse’s roster next year, who could possibly be a four-year stay. Howard Washington is a very durable combo guard. He played alongside Oshae Brissett this past season at Athlete Institute in Ontario, Canada. He performed very well, but both of them shot three’s at a high clip. However, the team competed with NBA-range three-point lines. If Washington was shooting those threes at a high rate, then I think he’ll be even better at his time at Syracuse. Washington will be a reserve player for the Orange, coming in when Frank Howard needs a breather or Boeheim needs to give Howard a little talking to, but will nonetheless develop throughout the 2017-18 campaign. The decision we are all waiting for… when will it come? Well, writing this on May 6th, it will in all likelihood happen within the next week. Tucker was hoping it would’ve been all decided by the end of last month, but he just visited Georgia Tech (unofficially) on Wednesday 5/3. Tucker has said he will make a decision either this weekend or next weekend. Now to what he does on the court. To say he is a good shooter from deep is an understatement. Tucker excels in shooting from the three point line. That’s his game. And when someone forces him to drive and takes away the three, he drives and has the ability to finish at the rim. Tucker seems likely to be heading to ‘Cuse, but it’s not guaranteed until he announces. Tucker would come into the program and would immediately fight for major minutes. He would be alongside small forwards Matt Moyer and Oshae Brissett, although Tucker does have the ability to play the 2, so if Tyus Battle were to need a rest, Tucker could come in and give them some quality minutes. Sid Wilson just recently reclassified to the 2017 class, and was high on Syracuse’s radar for the 2018 class. After reclassifying, he cut his list down to six schools. Syracuse, UConn, Florida, Georgia Tech, Texas, and St. John’s. It’ll be interesting to see what he does. He’s open to taking a post-graduate year at Brewster Academy if he doesn’t find the right situation, but him reclassifying tells me he sees an opening. We don’t know where yet, though. Wilson is a long, athletic kid who can drive to the basket, but is a dual threat from the perimeter. He’s only 170 pounds, but has the ability to finish at the rim. If Jordan Tucker somehow doesn’t go to Syracuse, I could very well see Sid Wilson stepping in and contributing. Waters had his release from his NLI about a month ago. He had listed Kansas, Syracuse, Creighton, and UConn as a potential list of schools he’d be interested in. At this point I’d say it’s unlikely Waters comes to Western New York. Mitchell Robinson, a 5-star signee to Western Kentucky, wants Waters to visit WKU with his fifth and final official visit. WKU’s head coach has also reached out to Waters since his departure from GTown. It’ll be tough to sway Waters towards Syracuse with the way WKU is going after the Jordan Brand Classic participant. Wright has gone back and forth between the 2017 and 2018 class. He was originally in the ‘17 class, but then decided to reclassify to the ‘18 class. But recently he has said that he will stay put in the 2018 class, but then said he is open to reclassify back to the 2017 class if the opportunity presents itself. Wright is one of those combo forwards that can give you minutes at the 3 or the 4. At the early point of his recruitment, it seemed to be a race between Syracuse and Villanova for the top recruit. Syracuse has been in Ayala’s ear for a long time. He’s a versatile combo guard that is above average at both the 1 and the 2. He’s not flashy, but he doesn’t turn the ball over and sticks to what he does best. He’s a good shooter, but is a weapon driving into the paint. Swider recently just cut his list to 8 schools… including Syracuse. It includes the Orange, Michigan, Villanova, Miami, Indiana, Creighton, Xavier, and Providence. Early predictions have him landing at Xavier, but it’s still way too early to tell. He can post up his defender and use his skills to create open shots for himself. I wouldn’t be surprised if Swider went to ‘Cuse for 2018. Duke is an excellent shooter and a capable driver to the basket. However, he is a streaky shooter. Duke has been connected to Providence, but him and all 2018 recruits have about 15 more months to make their decisions. He’ll have more news once the 2017 recruits are already enrolled into their respective colleges. Isaiah is the hometown kid. Recently, we have seen many great players come out of Rochester, however they have not gone to Cuse. Isaiah is a very capable scorer in the paint and is an excellent rebounder. He’s huge for a sophomore and very developed. Syracuse recently offered him. Its very early to tell where he will go, yet there are many prominent schools on his list. Thanks for reading this recruiting blog! Send us your thoughts on these players. Comment or DM us on feedback and suggestions of what you would like us to do with the newest blog. Thanks and Go Orange!